One of Babeldaob's premier attractions, Ngardmau Waterfall flows from Palau's tallest peak, 217m-high Mt Ngerchelchuus. 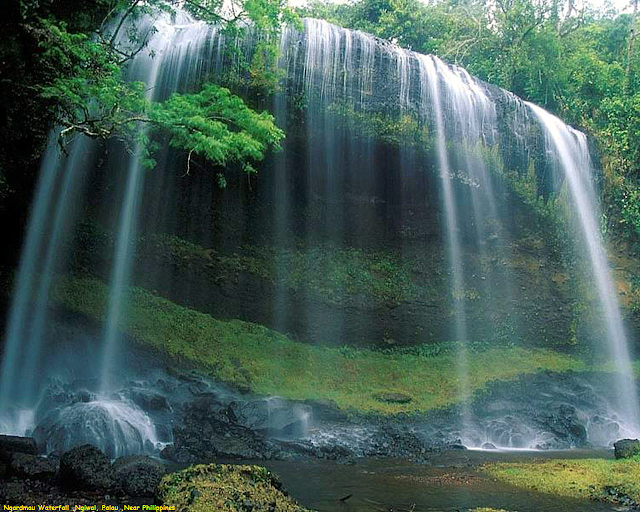 It's the tallest waterfall in Micronesia. 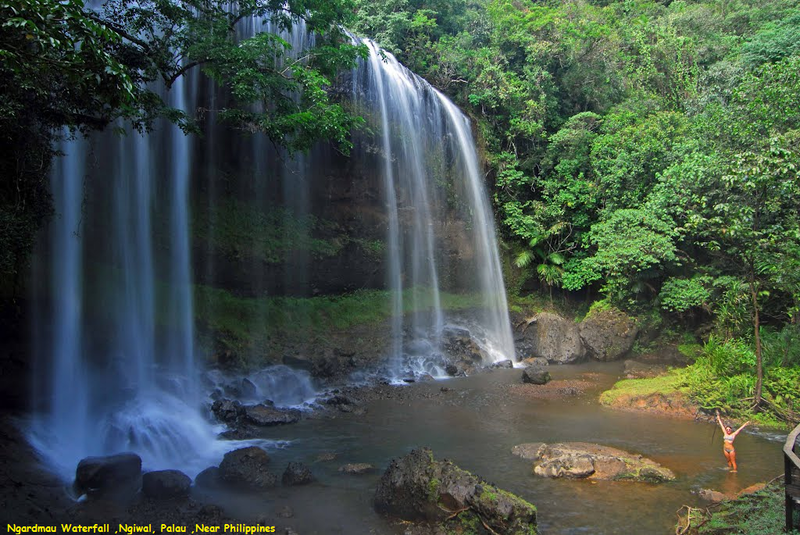 It can be accessed on foot – a tough but rewarding 20- to 30-minute hike along a jungle path. A dip in the cool pools at the base of the falls is not to be missed. Starting from Koror it takes approximately 30 minutes by car. From Koror drive towards Babeldoab (Airport), after crossing the bridge, turn left at the gas station towards Aimeliik. Follow the compact road to the entrance of the waterfall which will appear on the right side of the road between mile marker 19 and 20.